Or Face to face learning . I have recently completed the ‘Elite Fitness Boxing Trainer Course’. As a fitness professional I found this course very useful to brush up my skills and also learn some new and up to date boxing techniques, which I am really excited to incorporate into my sessions. The content of the course was very easy to follow and Garry Wasson was very supportive and helpful with any questions and always replied promptly. I highly recommend this course to upskill or gain a reputable qualification for Boxing for Fitness. The boxing trainer course was very straightforward, easy to follow and covered everything. 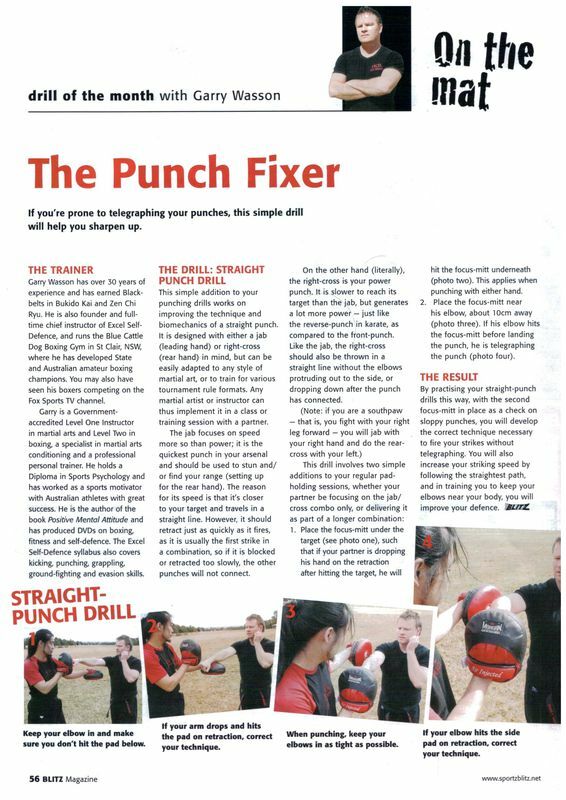 This non-contact fitness boxing pad course gives personal trainers and fitness professional accreditation to teach boxing fitness workouts. It shows you how to use boxing for fitness. This course will benefit fitness professionals with little experience in boxing for fitness also experienced personal trainers. Elite Fitness Boxing Trainer is Australia’s first nationally accredited and approved boxing pad course delivered in both on-line and face to face formats, for accreditation through Physical Activity Australia*. Elite Fitness Boxing Trainer was developed by boxing coach Garry Wasson who has developed state & Australian Boxing Champions. Study our online nationally accredited courses when and where it suits you. Get the same certificate as completing the course in a classroom, but complete it at your pace and in the comfort of your own home or you may do the course face to face. Elite Fitness Boxing Trainer is a nationally accredited online course & face to face approved by one of Australias leading fitness registration bodies, Physical Activity Australia, which provides legitimacy and makes sure our course meets the current fitness industry standards and guidelines. Physical Activity Australia has been registering exercise professionals for over 30 years since 1982. Our unique boxing pad course is specifically tailored to equip you with the latest training techniques, which will skyrocket the success of your students and improve your retention rate as well as your reputation in the fitness industry. This course has been developed by Garry Wasson, a boxing trainer with over 20 years experience. Get all the knowledge you need to manage and instruct your boxing fitness classes to achieve the best possible results. We look forward to working with you! How to hold and use boxing pads correctly. Boxing workouts using weights and medicine balls. Fitness boxing circuits for classes and speed ladder. Aerobic and anaerobic boxing workouts. The Elite Fitness Boxing Trainer course will give you the knowledge and confidence to instruct fitness boxing pad workouts for fitness group exercise classes. No prerequisite is required for enrolment in the Elite Fitness Boxing Trainer course except you must be 18 years or older . A certificate of completion will be awarded at the successful completion of this course. You have only 12 months from the date of purchase to complete your course. Please Note: You must have a minimum Certificate 3 in Fitness or Certificate in Group Fitness or equivalent to obtain Physical Activity Australia Professional Development points. Please Note: That a Certificate 3 in Fitness/Group Exercise Instructor graduate is not allowed to hold one-on-one training sessions. Once you enroll in the course and payment is made you will receive a password for our online training, and you're ready to start. Face to Face :Our face to face training is by appointment only contact us before buying our course for face to face training. You will be required to complete a multiple choice questionnaire, send in a short video of yourself teaching some of the techniques, and write a 30-minute fitness boxing program. Your Video can be sent usb or upload it to youtube if you want, you can have it unlisted or private then send the link to your assessor for marking. All of the assessment requirement must be submitted concurrently. Once you successfully complete this course, you will be emailed your certificate Elite Fitness Boxing Trainer. Boxing gloves, boxing pads, and training partner. The College of Health and Fitness students pay only $195.00.Contact the college of health and fitness for your discount code before purchasing the course.